You shall act in good faith in all dealings with clients, disclose all relevant information, abstain from self-dealing and conflicts of interests, abide by your professional ethics such as State Boards and any other government regulation that you are subjected to by your profession. The board reserves the right to terminate licenses. 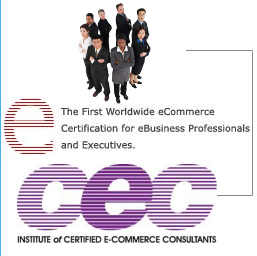 The Institute for Certified E-Commerce Consultants, ICECC recognize the responsibility of E-Commerce and E-Business professionals to foster high ethical standards in our profession. THE ICECC ™ does hereby adopt the following CODE OF ETHICS and PROFESSIONAL STANDARDS to provide direction in attaining high principles of truth, justice, zeal and good faith dealings. 1. To abide by the laws of the United States of America or your Sovereign Country. To maintain high standards of conduct when seeking employment, performing services, and negotiating transactions so as to create a high ethical standard to the public. 2. To illustrate zeal and professionalism with all of our dealings with clients and customers. 3. To continue building the knowledge base of our professional community through study, collaboration, and continuing education. 4. To work with universities and academic groups in improving e-commerce, technology, and the practical education of individuals. 5. To build confidence and the trust of the public and our employers using diligence, honesty, cooperation, and confidentiality. 6. To provide occasional pro-bono assistance to the disadvantaged entrepreneurs who may seek to grow a new e-business or e-idea. 7. To protect the trademarks, service marks, patents, intellectual property, business plans of others and the ICECC and CEC unless you have express permission to breach the trust of the E-Commerce Consultant/Client relationship. 8. To attempt to live in harmony with others in all transactions within the E-Commerce World with the intent of building creative, win-win relationships. 9. To continue to use e-commerce and technology to reduce waste, improve efficiency, and protect the environment through paperless transactions. To further the harmony and communication between the nations of the world.